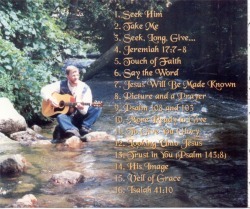 May Christ Jesus use these songs to his glory in your life. May you commune with Him as you sing out to him with all your heart! to give me feed back. To Download - Right Click and select "Save Link As"
These Songs were written and recorded by Reed Nelson. Please feel free to download* them freely and burn to CD's to share with friends and family. It is my hope Christ Jesus will use them to draw you closer to Himself.